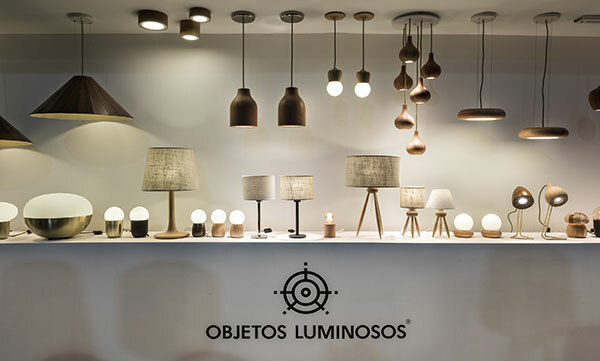 Objetos Luminosos is a firm dedicated to the design and manufacture of light fixtures. 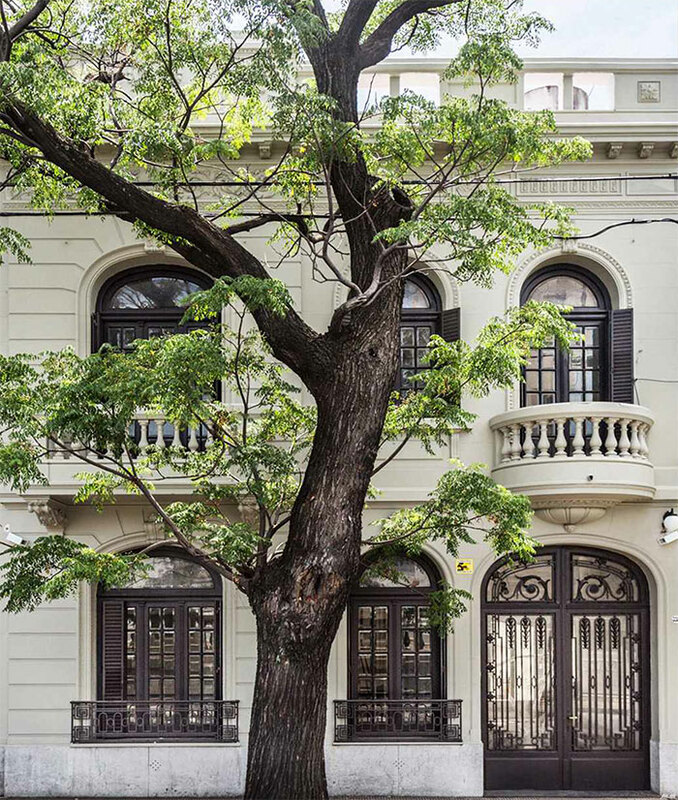 Founded in the year 2000 in Buenos Aires by Magdalena Boggiano. the firm sells wholesale throughout Argentina and, from the year 2003 onwards, it exports its products, accompanying many people´s lives around the world. 2004 "Presentes" Bs. As., Argentina (March). 2004 "Presentes" Bs. As., Argentina (August). 2005 "Presentes" Bs. As., Argentina (March). 2005 "Presentes" Bs. As., Argentina (August). 2006 "Presentes" Bs. As., Argentina (March). 2006 "CAFIRA Innova" Bs. As., Argentina (August). 2007 "CAFIRA Innova" Bs. As., Argentina (March). 2007 "CAFIRA Innova" Bs. As., Argentina (August). 2008 "CAFIRA Innova" Bs. As., Argentina (March). 2008 "CAFIRA Innova" Bs. As., Argentina (August). 2009 "CAFIRA Innova" Bs. As., Argentina (March). 2009 "CAFIRA Innova" Bs. As., Argentina (August). 2010 "CAFIRA Innova" Bs. As., Argentina (March). 2010 "CAFIRA Innova" Bs. As., Argentina (August). 2011 "CAFIRA Innova" Bs. As., Argentina (March). 2011 "CAFIRA Innova" Bs. As., Argentina (August). 2012 "CAFIRA Innova" Bs. As., Argentina (March). 2013 "Presentes" Bs. As., Argentina (March). 2014 "Presentes" Bs. As., Argentina (March). 2015 "CAFIRA Innova" Bs. As., Argentina (August). 2016 "CAFIRA Innova" Bs. As., Argentina (August). 2017 "CAFIRA Innova" Bs. As., Argentina (March). 2017 "CAFIRA Innova" Bs. As., Argentina (August). 2018 "CAFIRA Innova" Bs. As., Argentina (March). 2018 "CAFIRA Innova" Bs. As., Argentina (August). -Objetos Luminosos is awarded the “PRO.A.M.PRO” grant, a program to support production process modernization (2002). -Objetos Luminosos is selected to participate in the IncuBA program, an incubating initiative that promotes the growth and development of design-related ventures with the objective of supporting quality, innovative firms. (2003). 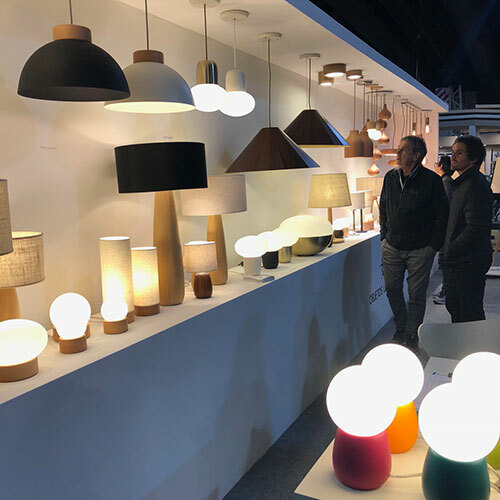 -Objetos Luminosos is invited by the Department of Industry and Commerce of the City of Buenos Aires to be part of “PyME (Small and Medium-Size Firm) Week”, an exhibition of the city´s representative firms (2003). 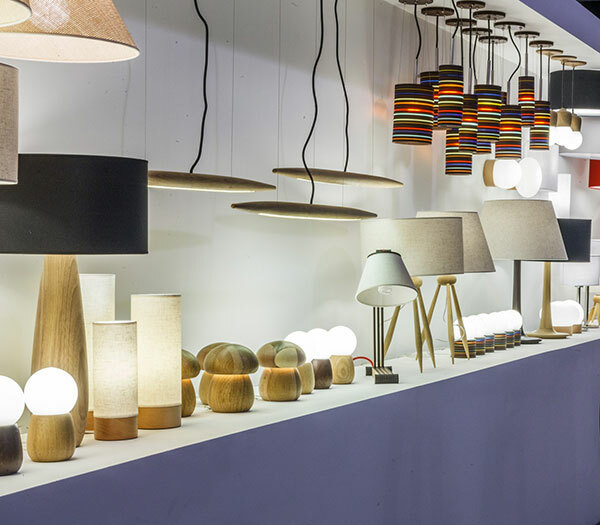 -Objetos Luminosos is selected to represent Argentina in trade missions organized by the Argentine Embassies in Santiago de Chile, Chile (2003), Lima, Perú (2003) and San Pablo, Brasil (2004). 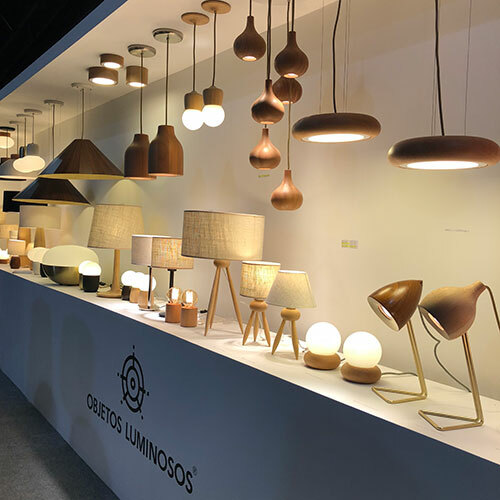 -Objetos Luminosos participates in the “Sello de Buen Diseño” (Seal of Good Design) catalog, which represents innovative products awarded by the National Department of Industry through the National Design Plan (2012). The MAJA model, designed by Magdalena Boggiano (Objetos Luminosos), is distinguished with the Good Design Seal awarded by the National Ministry of Industry through the National Design Plan (2018). The SAETA model, designed by Magdalena Boggiano (Objetos Luminosos), is distinguished with the CMD Design Label awarded by the Metropolitan Design Center (Centro Metropolitano de Diseño) of the City of Buenos Aires (2018). The RUTTINI model, designed by Magdalena Boggiano (Objetos Luminosos), is distinguished with the Good Design Seal awarded by the National Ministry of Industry through the National Design Plan (2017). The PUMPINO model, designed by Juan Serrano (Ustatic) and Magdalena Boggiano (Objetos Luminosos), is distinguished with the Good Design Seal awarded by the National Ministry of Industry through the National Design Plan (2016). The SPLASH model, designed by Magdalena Boggiano (Objetos Luminosos), is distinguished with the Good Design Seal for its “innovation, commitment to local manufacturing, market positioning and design quality”. Distinction awarded by the National Ministry of Industry through the National Design Plan (2013). 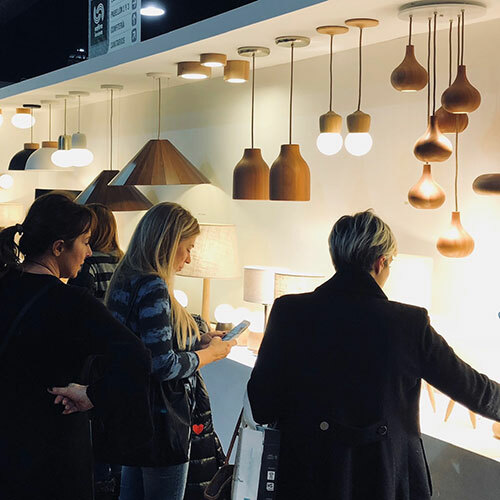 The DONDO model, designed by Magdalena Boggiano (Objetos Luminosos), is distinguished with the Good Design Seal for its “innovation, commitment to local manufacturing, market positioning and design quality”. Distinction awarded by the National Ministry of Industry through the National Design Plan (2012). Monday to Friday from 9 am to 5 pm.